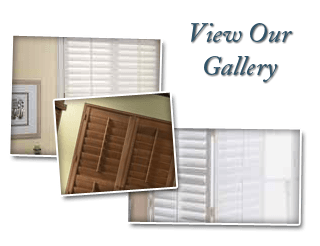 If you are one of the many homeowners out there considering making the investment in new blinds for your home, you likely have your work cut out for you in deciding between all of the various options out there to choose from. With that being said, many, many homeowners out there decide that the beautiful look of wood is what they want to help accent their home’s interior decor, but even with that much decided, you still have one more important decision to make: should you invest in real or faux wood blinds? The decision between these two blind types isn’t always as easy as you might believe, and so to help ensure that you have all of the information you need to find the right option for your home, our team of window treatment professionals has taken the time to put together this short list that helps to highlight several of the most important things to consider when you are making your choice to ensure you wind up with the right one. No matter which option you choose, they are going to be a major feature in your home’s interior decor, and as such, it is important to consider what level of visual appeal you want you new blinds to provide before making your decision. Real wood blinds can provide you with a level of warmth and elegance that is hard to match with other materials, and while faux wood blinds do a good enough job of imitating this, there is going to be a subtle difference that you will be able to notice, especially when you get up close. If you are more interested in having a wood-like color and texture for your blinds but don’t necessarily care about all the small details that make real wood blinds what they are, faux wood is an excellent choice, but if there is no substitution for the real thing for you, real wood is the only way to go. Whether you realize it not, your window blinds actually contribute to making your home a bit more energy efficiency, which can be a great thing if your windows are a bit older, or have any gaps or cracks in the glass itself or around the frame. Blinds can help you enhance your home’s energy efficiency by essentially providing you with an additional layer of insulation around your windows, while real wood blinds will actually serve as a better insulator than synthetic materials, faux wood blinds will still provide you with a bit of extra insulation around your windows. If you notice that the areas around your windows are always less comfortable than the other areas of your home, real wood blinds can provide you with a very effective method of increasing insulation around the area, but if your windows are fairly new, or you don’t have a problem with drafts around your windows, faux wood blinds can be a perfectly suitable option. 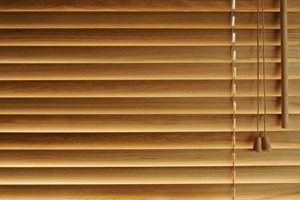 The final consideration you are going to want to make when it comes to deciding between real and faux wood blinds is where they are going to be installed throughout your home. Another big difference between real wood blinds and faux wood is the difference in the way they absorb moisture, and the effect it can have on them. Real wood blinds tend to absorb moisture much more readily than faux wood, which can lead to warping, cracking, and rotting over time, which means they aren’t always the best choice for rooms of your home that tend to be more humid, like your laundry room, bathrooms, and even your garage. For these rooms, faux wood blinds are usually the better choice, as they aren’t generally susceptible to moisture, giving you the look you want without having to worry about whether or not your new blinds are going to be damaged in the process. 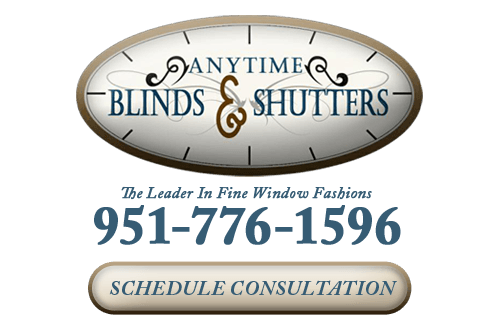 If you are looking for a professional shutter company in Riverside, CA, give us a call today at 951-776-1596 or fill out our online request form.